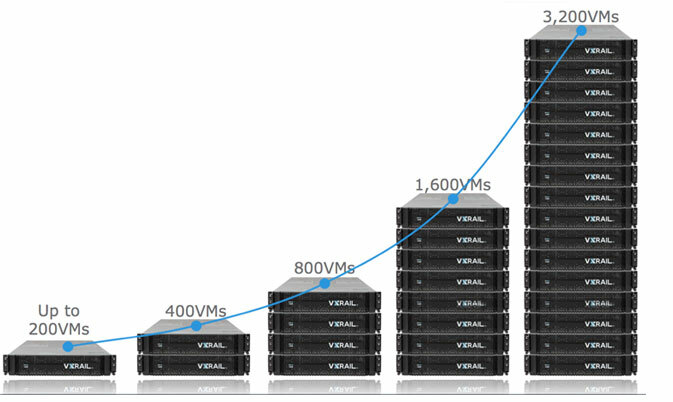 The VxRail Appliance delivers a known and proven building block for the SDDC that delivers up to 5x the performance of other hyper-converged appliances. All-Flash configurations deliver a transformative 8X boost in performance. Scale capacity and performance easily and non-disruptively up to 64 nodes (16 appliances) per cluster, allowing you to start small and grow incrementally without up-front planning.